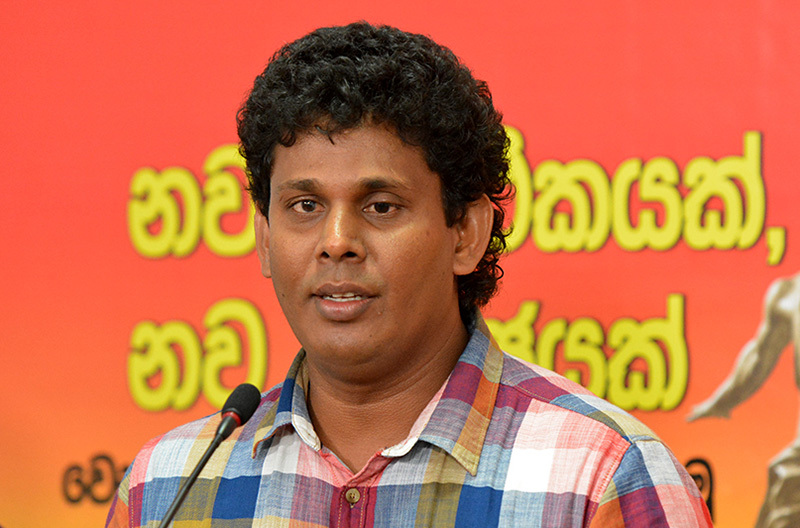 What the joint opposition has started is not a ‘pada yathra’ (trek) but a’ roda yathra’ (hop on wheels tour) says the Member of the Central Committee of the JVP Wasantha Samarasinghe. He said this addressing a seminar held under the theme ‘Debt burden, Tax burden and the collapsing economy’ held at Maskeliya today (29th). Speaking further Mr. Samarasinghe said when Mr. Mahinda Rajapaksa was in power he allowed his sons, amidst opposition from Mahanayakas, to have races with Lamborghini cars in the holy area where the Temple of the Tooth is but today he goes to the Temple of the Tooth to get blessings to come back to power. When masses do the ‘pada yathra’ Mr. Mahinda Rajapaksa is comfortably driven in a vehicle pointed out Mr. Samarasinghe. He said Mr. Mahinda Rajapaksa’s intention of organizing a ‘pada yathra’ is to split the SLFP and he is ably supported in this exercise by Messrs. Wimal Weerawansa and Udaya Gammanpila said Mr. Samarasinghe. Mr. Mahinda Rajapaksa’s attempt to come back to power is not because he loves the people but due to his greed for power said Mr. Samarasinghe. He said Prime Minister Ranil Wickremesinghe is eagerly waiting for the split of the SLFP so that he could reap the advantage of the split. The people in the country chased out Rajapaksa corrupt regime and elected Mr. Maithripala Sirisena as the President of the country to punish the fraudsters and the corrupt of the previous government and maintain good governance said Mr. Samarasinghe. However, President Sirisena is manipulated by Prime Minister Wickremesinghe and Wimal Weerawansa and Udaya Gammanpila have carried out a political deal with Mr. Wickremesinghe added Mr. Samarasinghe.